Once you receive this item, please contact us to provide your SIM serial number and we'll activate it for you immediately. Works with any Inmarsat satellite product. 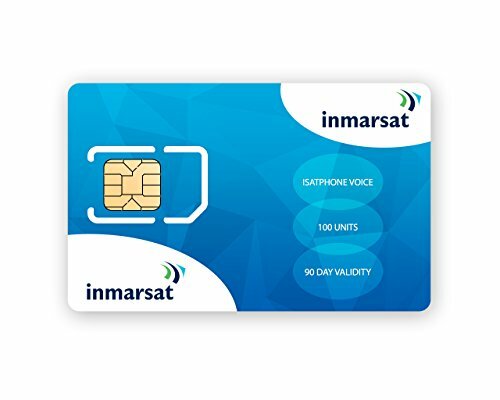 If you have any questions about this product by Inmarsat, contact us by completing and submitting the form below. If you are looking for a specif part number, please include it with your message. $10 Mi Bandera Mexico Cellular Refill Card. Recharge TELCEL, MOVISTAR, NEXTEL, UNEFON & IUSACELL cellphones with just one phone card. Recarga los Celulares de tus famialres en Mexico con esta tarjeta. $15 Global Direct Unlimited Phone Calling Card for Cheapest USA & International and Domestic Long Distance Calls for 30 Days.